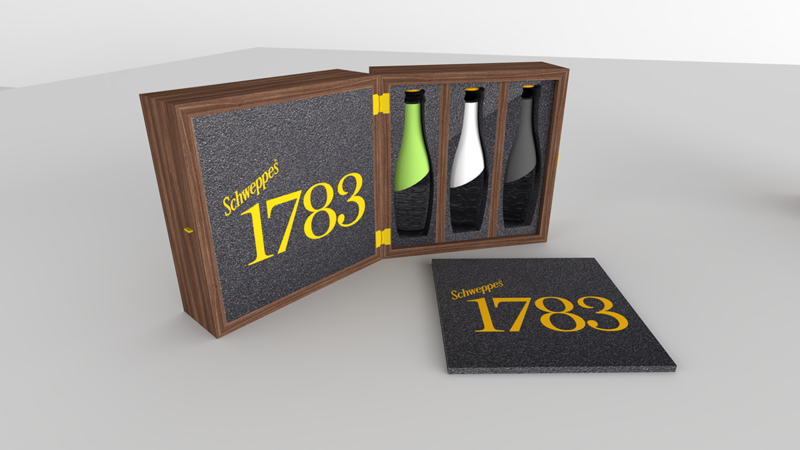 A walnut gift package developed for Schweppes. 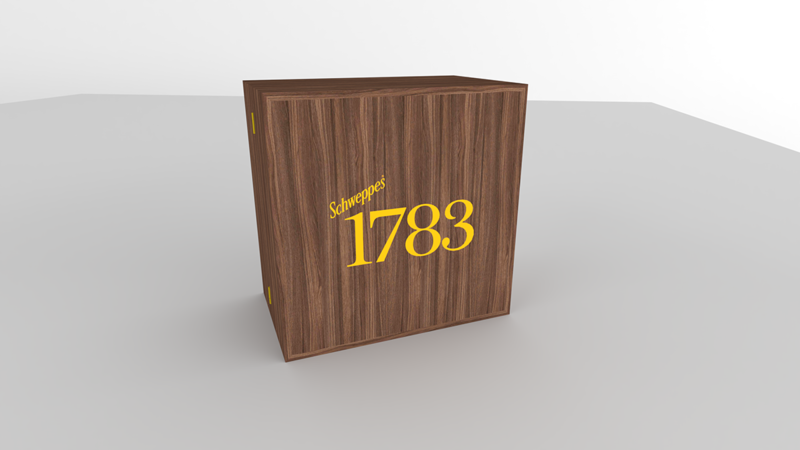 This was created to celebrate the launch of the new range of Schweppes 1783 products in Ireland. 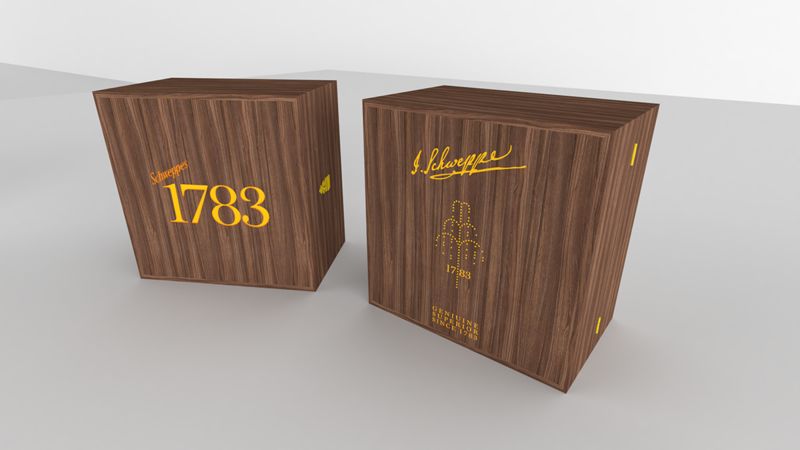 On the left is the front side of the package, and on the right is the back. 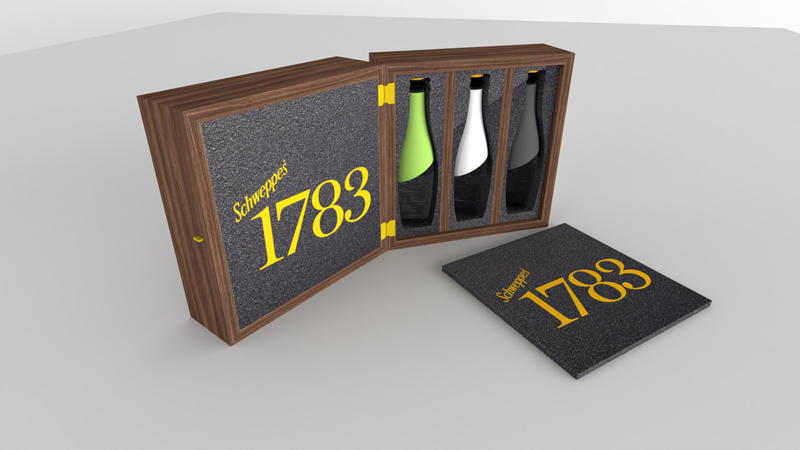 Inside the bottles are safely held in position using a black foam with bottle shaped holes cut out. 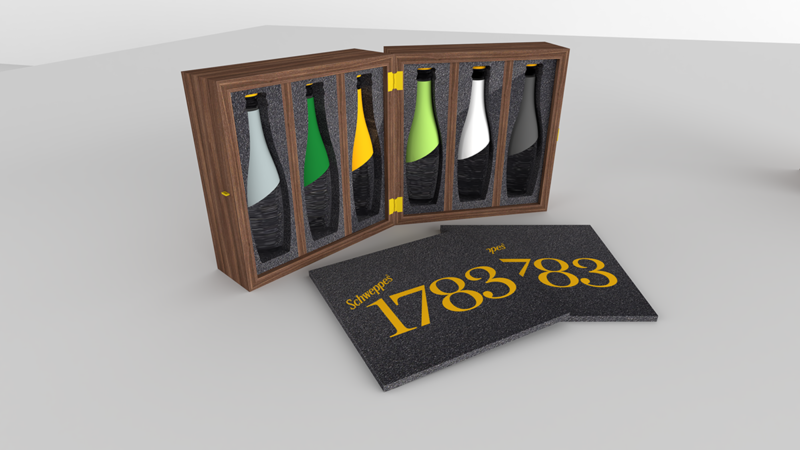 The bottles are further protected with branded foam covers. 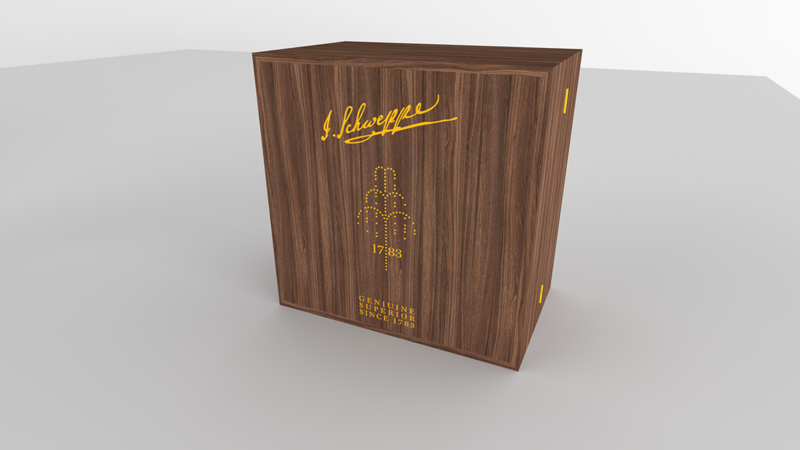 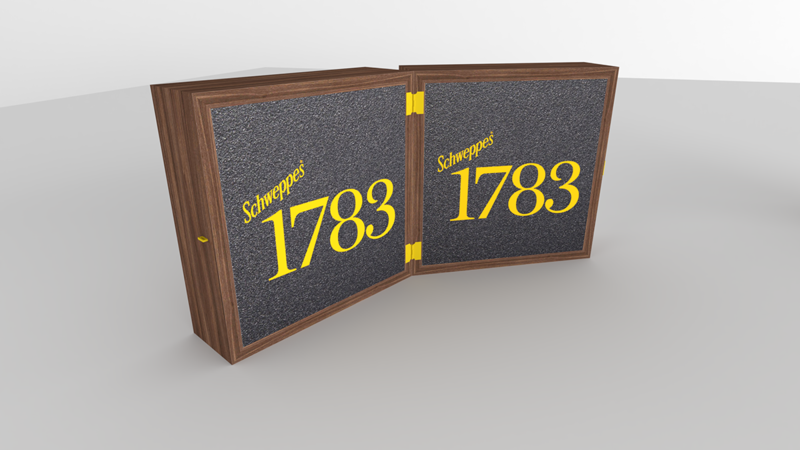 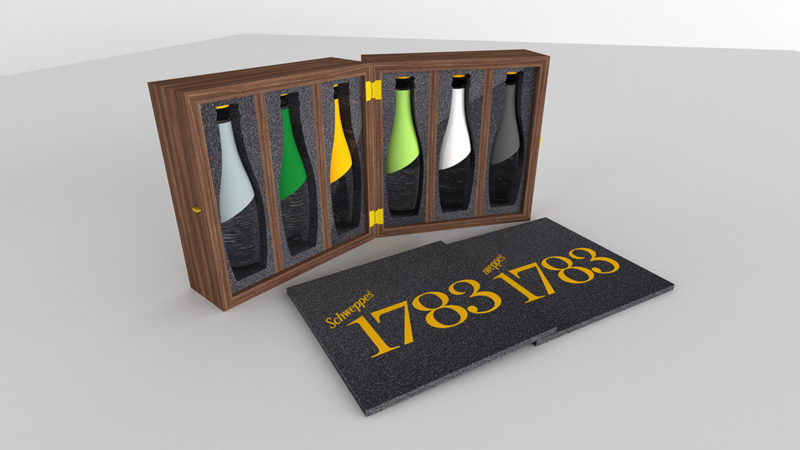 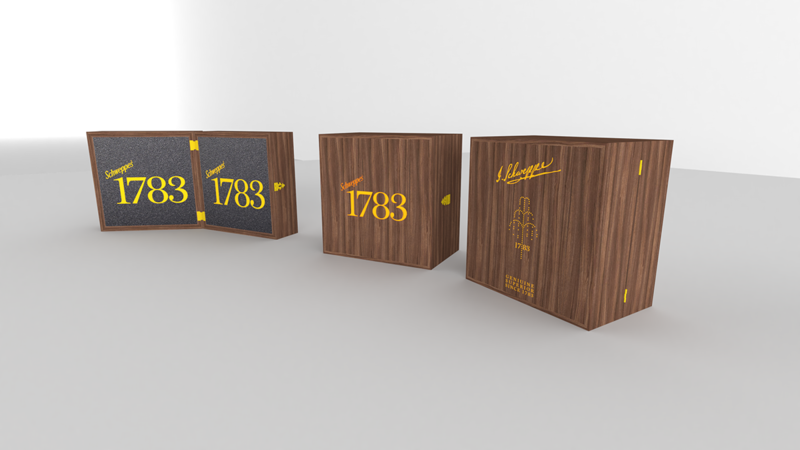 All six Schweppes 1783 flavours are displayed for the person receiving the package.